Sukkos has always been my favorite holiday. 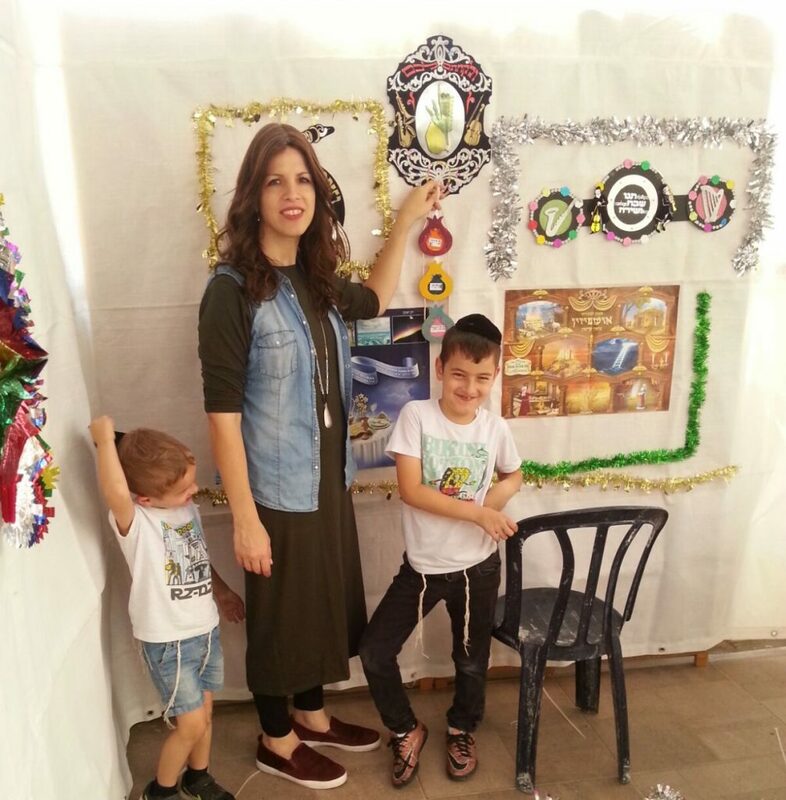 As a child, I would wait eagerly for my father to come home from work and put up the sukkah. It was a magical place to live out all my fantasies. I was in my element making paper chains and hanging up the ever-growing collection of decorations. I want to keep up the fun with the kids throughout the holiday to keep their interest so I came up with a list of fun activities in the Sukka. I put my head together with my loved ones and came up with seven fun ideas. My neighbor came up with this idea. They play, I spy, with the decorations. 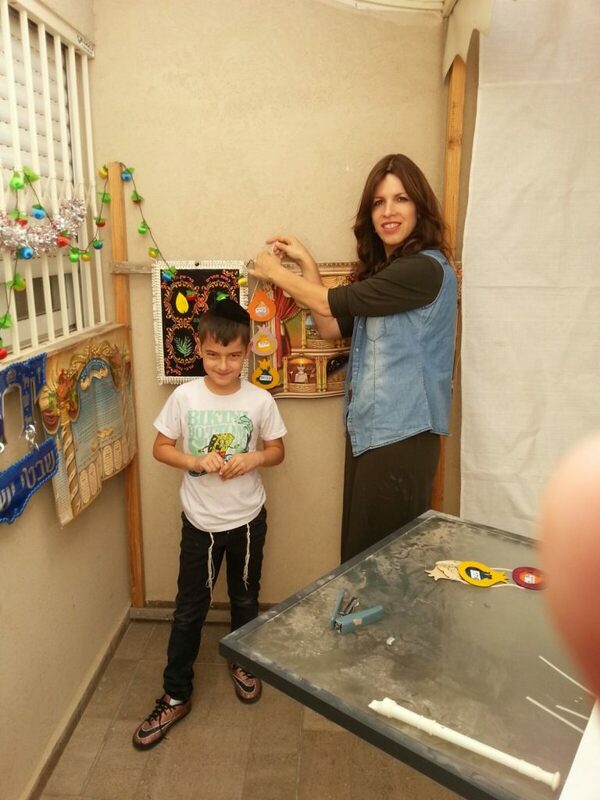 One player goes out of the sukkah and the rest of the players choose one small part of a decoration. The player comes back and has to ask questions and find where it is. A similar game would be to hide something small in the sukkah and play a game of hot and cold. My personal favorite Sukkos activity is to build an edible sukkah with the kids. We take plain wafers and stick them together with a mixture of melted chocolate and peanut butter. For the roof, we use long pretzels and stick them with the same chocolatey mixture. There are a variety of jellies in shapes to decorate the sukkah. Serve it for dessert and watch everyone’s eyes dance. Here is an idea that my creative niece came up with. She took pictures of family members doing various sukka activities, for example holding the four species. She made the pictures in groups like a deck of cards with four cards in each group. A group could be Sukka decorations with each person holding a different decoration. She printed out the pictures on hard paper and voila, she had a personalized Sukkos card game. Here was an idea my mother-in-law told me she used to do when she was a girl. A group of neighbors agree to participate together and they set up a treasure hunt between. They divide the kids into teams and everyone had to find the items on the list in the different neighbors’ sukkas or surrounding area. My boys decided to come up with their own idea of a fun activity. They decided to perform a concert in the sukkah. They got together with their friends; everyone playing whatever instrument they had. Even the boys who didn’t really play got in the act by blowing into a glass bottle with water or just banging on the table with a drumstick. One particularly unmusical boy decided to be the official videographer for everyone to enjoy the concert for posterity. My youngest son had an idea of his own. He wanted to play dress up based on sukkos theme. Each day he had a different idea of who we should dress up as. One night it was of the Jews in the dessert as they sat in their sukkos of once. A different night, he focused on the patriarchs and matriarchs of the Jewish people. At some point he decided to mix his holidays and had us dressing up as Maccabees and Greeks. Lastly, my father once played this interesting game with us when we were kids. Since there is an emphasis on inviting guests to our humble homes, my father invited people over that no one else knew and we had to ask questions with answers of yes and no to find out about them. We had a great time. Just pick your guests wisely and enjoy your holiday!